My husband is a big fan of tofu dishes, and he gets cranky if I don’t cook tofu at least once a week. This means I am always searching for good recipes to prepare tofu so he doesn’t get bored with just eating fried tofu. Though, judging from his eating pattern, he doesn’t mind if he has to eat fried tofu every single day. 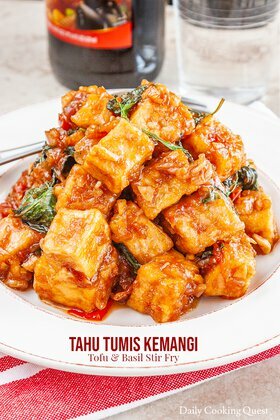 Anyway, here is my recipe for tahu goreng bumbu Bali - Balinese sauce fried tofu. I hope you like it as much as I do. I maybe one of the weird person who actually like to fry my own tofu at home. It’s pretty straight forward. I start by draining and wrapping my firm tofu block(s) with paper kitchen towel, and sandwich between two plates. Then I add my heavy cast iron skillet on top of the top plate to press the tofu. After 30 minutes, there should be noticeably plenty of liquid pool around the tofu. Simply drain away the liquid, unwrap the tofu, and cut into cubes. The next step is frying the tofu. Heat about one inch of oil in a frying pan. 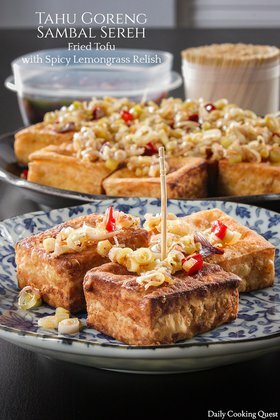 Once the oil is hot, sprinkle tofu with salt and pepper, coat with all purpose flour, and fry in hot oil until golden brown. Despite its name, bumbu Bali actually originates from East Java and not from the island of Bali. This is a pretty popular sauce in Indonesia, and the most famous dish prepared with this sauce is telur bumbu Bali. But if you are like me, once you taste this sauce, you will want to pair it with so many other dishes, especially fried items such as fried tofu, fried tempe, fried chicken, etc. Heat oil in a frying pan and sauté spice paste until fragrant, about 4 minutes. Add tamarind liquid, lemongrass, bay leaves, lime leaves, salt, and palm sugar. Mix well. 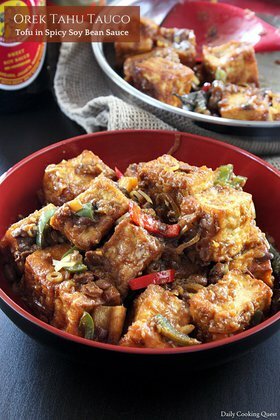 Add fried tofu cubes, mix well, and cook until the liquid is thickened and slightly reduced. Add sweet soy sauce, mix well, and cook for another 1 minute. Turn off heat, discard the lemongrass, bay leaves, and kaffir lime leaves. Serve with steamed white rice. 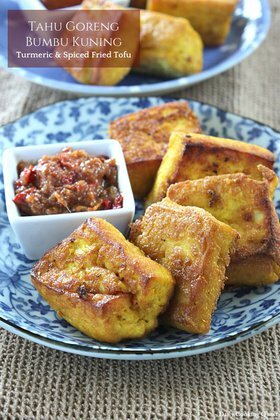 (*) The total cooking time is if you prepare your own fried tofu. If you happen to buy fried tofu from market, the total cooking time will be reduced by half. 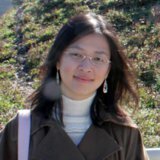 Another great recipe, thank you for sharing !